All four children are going through a stage of preffering non fiction books so we have been on the hunt for some great factual books aimed at young readers. I was sent some information about the '10 Reasons to Love' series and it looked perfect for all four of them. 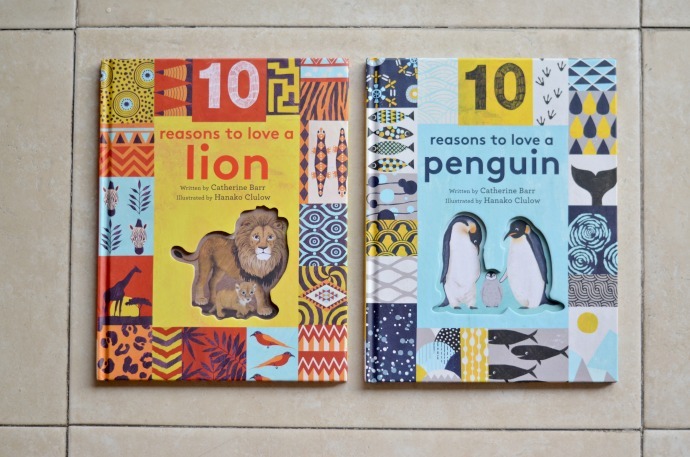 The two newest releases are '10 Reasons to love a Lion' and '10 Reasons to love a Penguin' (two of our favourite animals) and both have been big hits! The books are beautifully illustrated and full of interesting facts about what makes these majestic animals so special. Written by an expert in the field, the books look at conservation issues and discuss how we can best look after these animals. Dylan especially is becoming very aware of our impact on animals habitats and he loved learning a bit more. 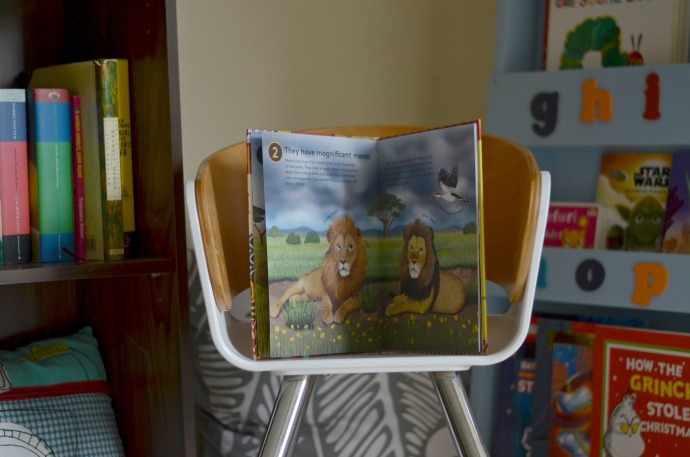 Cora and Finn love to make up their own stories as they flick through and we love the details in the illustrations. These hardback books look beautiful on a bookshelf and would make a lovely gift for a curious child. 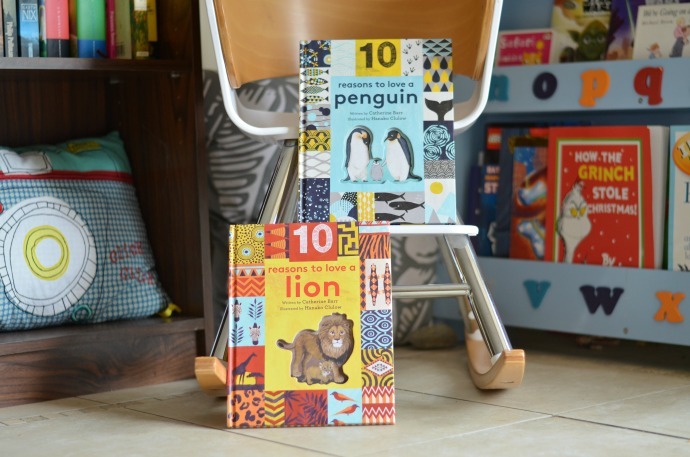 There is a whole series including turtles, elephants, whales and bears but I have two sets of the penguin and lion books to give away today! 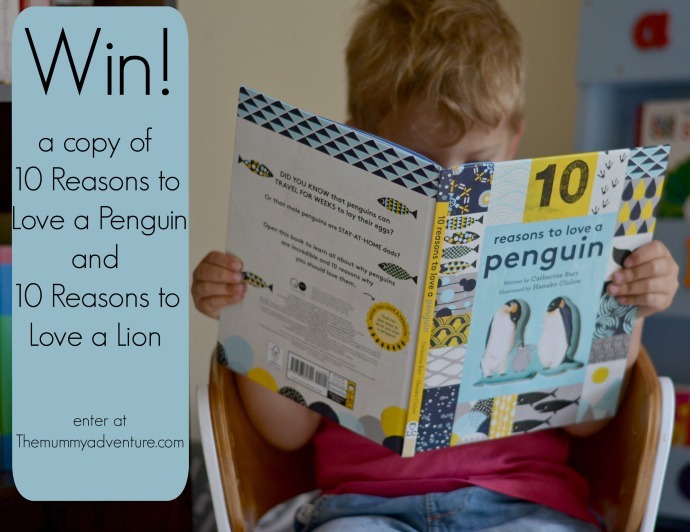 If you would like to win a copy of both the penguin and the lion book then enter via the rafflecopter form below. Two winners will be drawn. I was sent the books for the purpose of this post. I love dogs because they're both friendly and intelligent. Love Penguins, I love watching them swim. My little guy is also into non fiction these days.. what a beautiful fun way to satisfy this curiosity! I love giraffes, I think they have beautiful eyes and are very graceful. James's favourite animals are lions and tigers apparently - at least for this week!